AMD’s Zen processors are getting closer by the day so no wonder we have been getting more and more information on them in the form of leaks during the past few weeks. Now a new leak has described what seem to be the first four AMD Zen chips to hit the market. We have to say, however, that this information is preliminary so it might change with time passing by or it may have been incorrect from day one. The information, however, touches both AMD’s desktop AM4 and SP3 server platforms. 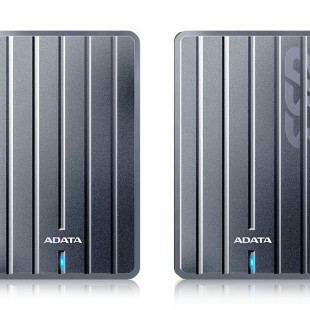 So here’s what we get today – there will be two desktop chips and two server ones. The first desktop processor will pack four Zen cores, 2 MB of L2 cache, and 8 MB of L3 cache and will come with TDP of 65W, while the other desktop processor will sport eight Zen cores, 4 MB of L2 cache and 16 MB of L3 cache as well as TDP of 95W. The server processors will be more impressive – the first one will have 24 Zen cores, 12 MB of L2 cache and 64 MB of L3 cache and 180W TDP, while the second server processor will sport 32 Zen cores, 16 MB of L2 cache and 64 MB of L3 cache as well as a TDP level of 180W. Currently the engineering samples of the two desktop processors run at 2.8-3.2 GHz. AMD seems to have put some effort in the energy efficiency of these processors because when idle they run at 550 MHz and consume less than 5W of power. The server processors run at 2.75 GHz for the 24-core chip and at 2.9 GHz for the 32-core processor. In idle mode they run at 400 MHz but it is unclear how much power they need when idling. AMD’s Zen processors and the all-new AM4 platform are expected this fall.